Starting a WISP Step 2 - Finding Wholesale Internet Access, How it works and how to get it. Starting a WISP Step 2 – Wholesale Internet Access: How it works, How to get it. You’ve found your market, they want broadband, and you’ve identified some good tower locations to get service to their homes. Now you need to secure a high volume of quality broadband Internet to your towers – but how do you do that? The first step is finding the closest fiber “point of presence” (POP). This is a location where you can “co-locate” (ie. 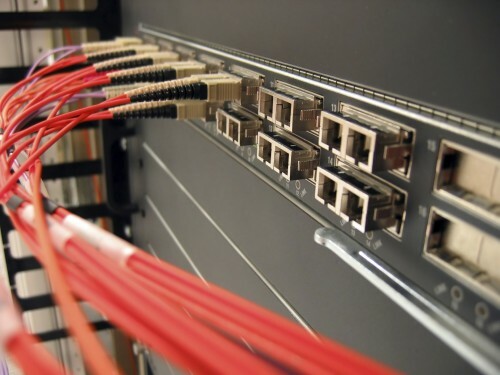 place your equipment) that has access to a nationwide fiber backbone. One important caveat – you need real dedicated fiber here. Verizon FIOS or Comcast Xfinity are both delivered over a fiber optic cable, but they aren’t dedicated. They are built on a shared technology called GPON. For more on this, as well as an explanation of why cable modems, DSL, and “business Internet” won’t work for gateway – see our article on Non-Dedicated Gateway. The best place to obtain fiber is a data center, as they will usually have several providers to choose from so you can get a great rate. However, if you’re in the middle of nowhere (the best place to be a WISP! ), you probably don’t have access to one nearby. The next best place to check is large hotels (see if management can tell you where they get service), or large office towers. If you don’t have any of these options then you’ll have to build wireless “backhauls” to get it out to you. When you’re shopping around for wholesale Internet, you have to be very specific that you need a dedicated connection. Other terms for this are “unmetered gateway with 95th percentile billing”, or “dedicated ethernet”. These connections will usually be priced by the megabit, and should always be “unmetered”, which means that you can never have a transfer cap (eg. gigabytes per month). If you’re just starting out, you will want to obtain at least double the highest package you plan to offer (so get a 20mbit gateway if you offer a 10mbit package). Sometimes the large companies will look down their noses at startup ISPs, as they are used to selling to enterprise clients, but don’t let that slow you down, be persistent. There are companies out there that only sell service to ISPs. They will know exactly what you need, and can usually give you an amazing price (eg. $1 per megabit/s). The catch is that these outfits only have availability in large urban centres, usually at a place called an “IXP” or Internet Exchange Point. If you’re fortunate enough to be on the periphery of a large city, you may be able to negotiate a rooftop lease directly with the IXP, and connect your network directly to the Internet backbones there. This is very cheap, and extremely fast. At an IXP you can also often connect directly to large media providers like Youtube and Netflix, so that you can pay a much lower rate for that traffic and it doesn’t go over your main gateway. To get a list of locations that are eligible for this sort of connection, a good place to start is Cogent as they are happy to work with small WISPs. Another is good option for cheap fibre is Hurricane Electric. Many cable companies are quite willing to sell you dedicated Internet gateway. This will usually cost quite a bit more on a per megabit/s basis than the big ISP-only providers, but when you’re first starting out it can still be a good way to go. You’ll need to meet the cable company somewhere where they have dedicated fibre access, usually large hotels, office buildings, etc. Negotiating with the owner of the building to co-locate antennas on the rooftop will be necessary. If you can’t connect directly to a major IXP, you might be able to get there in a roundabout way. Most cable companies will sell something called “IP Transit” over their network. This lets you send your traffic over their fiber, but doesn’t give you an Internet connection from them. Essentially it gives you a port at your local cable company’s network in town somewhere, and another port at a data centre in a major urban centre – and your traffic just goes in one end and out the other. The advantage of this option is that you can sometimes pay a much lower rate for transit to an IXP, and then buy cheap gateway at the other end. You may have to install equipment in a city that could be a distance away, but the cost savings are usually well worth the extra hassle. Sometimes the company you obtain gateway from already interconnects with your cable company. One option for dedicated Internet gateway that is available pretty much everywhere is the T1. This is a very old-school method of securing broadband, which gets you exactly 1.544 mbit of service over a single phone line. You can “bond” multiple T1’s together to get more speed but this can become seriously expensive. It is also is not really scalable, as your top speed is limited by the number of phone lines that come into your location, and you can’t go above it. In every instance that we’ve worked with a WISP to obtain gateway from the telephone company it’s been very difficult; loads of hidden fees, outages, and poor customer service. We recommend you steer clear of the phone company if you can. We have seen this solution look good at first however as the need for bandwidth grows, the technology does not scale and this circumstance resulted in near bankruptcy for some WISPs due to huge costs and extended contracts. Bonding or combining together DSL services has similar issues. It is not a workable solution for a successful ISP. If you don’t have an option for dedicated fiber connection where your market is, take a good look at how many towers you might need to reach an urban centre that does. If you can keep each tower less than 25 km / 15 mi apart from each other with good line of sight, you can usually set up a pretty solid backbone of your own. You’ll still want to minimize the number of towers between you and your gateway, because every one of them will be a single point of failure that could take down your whole network – but built correctly, it’s still a way to get a one up on your competition by being able to bring the fastest gateway around into your market.